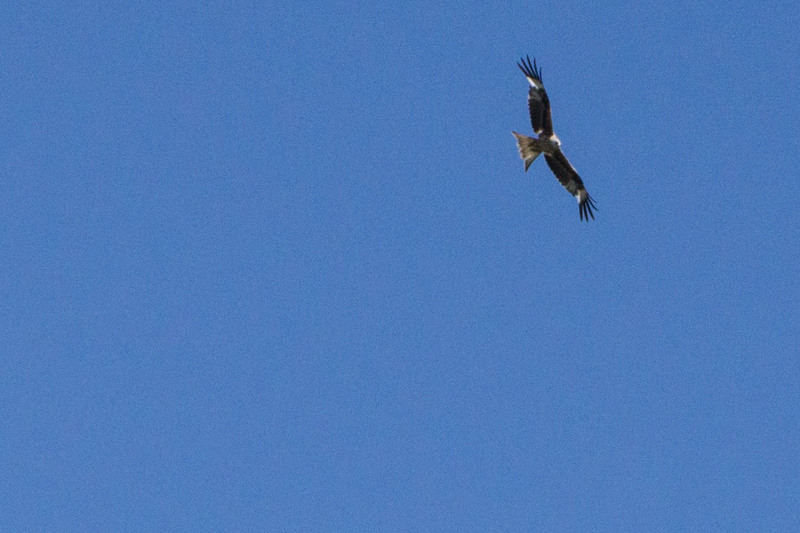 570km, 7000m of elevation gain: these are just numbers to resume the physical effort, but the ApuliaTrail is also pleasure and discovery of surprising sceneries. 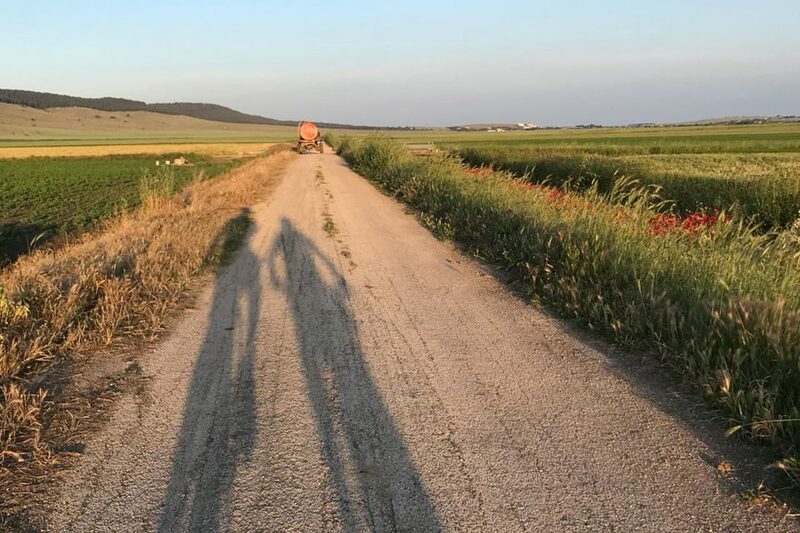 We start our adventure form the Masseria Gravelle in Turi (province of Bari) and you will cross the oriental side of the Murgia National Park, towards Castel del Monte. 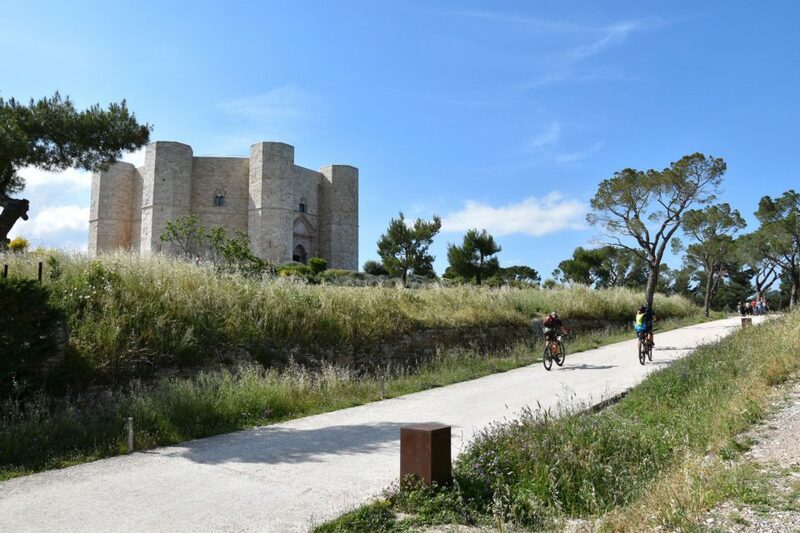 After reaching this medieval castle, symbol of the dominion of king Federico II, you will start a panoramic dowhnill to reach the adriatic sea coast, untill Trani and the spactacular romanic cathedral overlooking the sea. After the city of Barletta, your direction is again the interior of Puglia, passing through the small towns of Minervino Murge and Gravina, along the ancient roads of the west side of the Murgia National Park, with a small “deviation” outside the regional borders to enjoy the incredible scenery of Sassi di Matera (Unesco World Heritage site and also setting of movies of the Spaghetti Western school of Sergio Leone and The Passion of Mel Gibson). From Matera you go back again in Puglia, pedaling towards the Valle d’Itria, a valley that you are going to recognize from the presence of strange but pretty stone buildings called Trulli, that reaches their maximum presence and beauty in Alberobello (second Unesco World Heritage site that is in this trail). 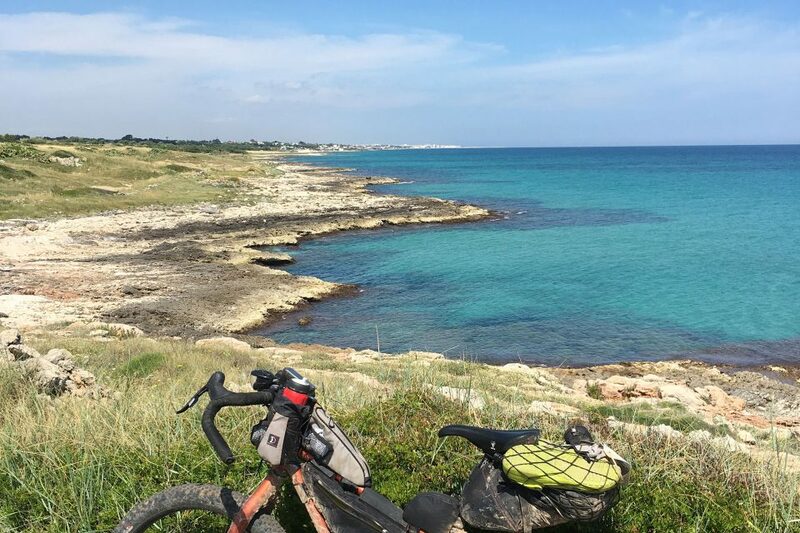 Your adventure now is close to the end, an easy downhill way will lead you again on the adriatic sea coast where, pedalling side by side with the sea, you are going to pass through Polignano a Mare and, already on the way of the arrive, through the medieval town of Conversano. Arriving at the Masseria Gravelle, your physical effort is ended, maybe you will have no more forces but we hope that your senses and your mind will be full of the colors, smells, sensations, sights that are going to remember you the experience of the ApuliaTrail with a smile on your face. 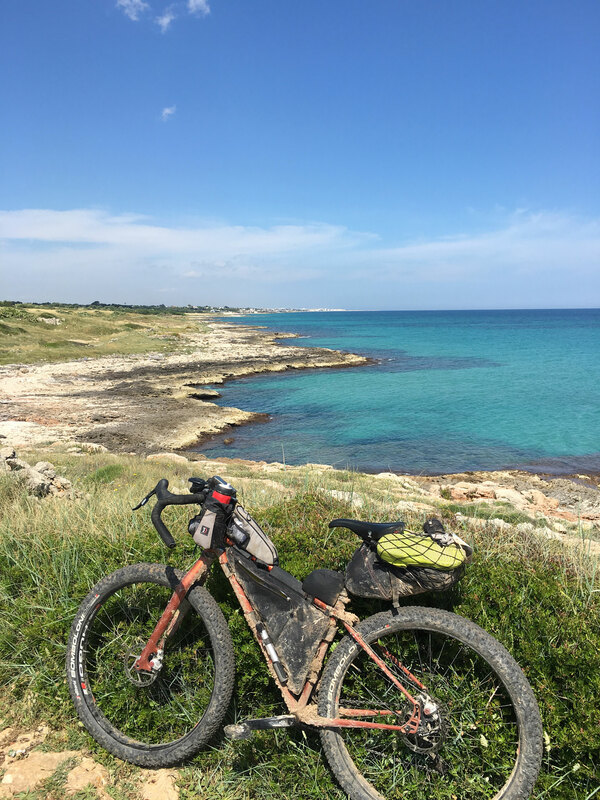 Less than 300km and about 3000m of total positive height but still the emotion to bike through the inner, wilder and unexplored area of Puglia into the heart of the National Park of Murgia. 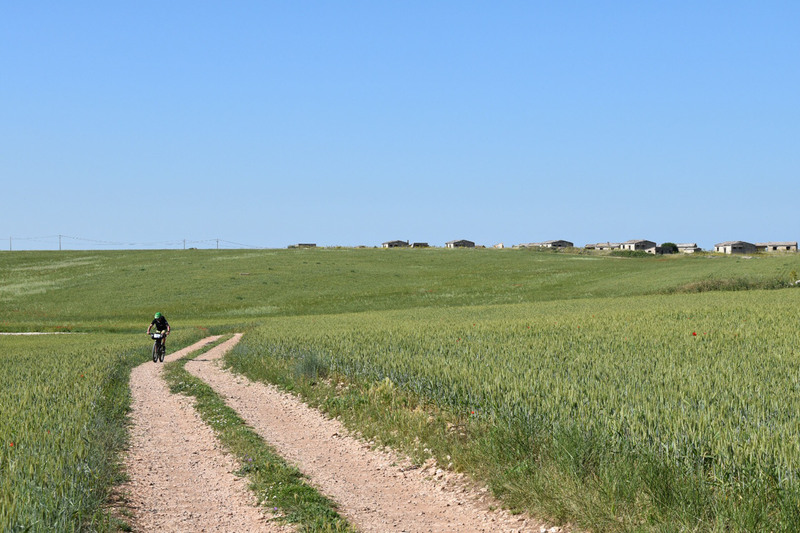 If you think that 570km are too much for your legs or if you have only the week end available to live this experience or if you are just approaching to the bikepacking and you want to do it with small steps, the short version of the ApuliaTrail is made for you. We reduced the kms and the total positive height but we didn’t reduce the quality of the experience that you are going to live. 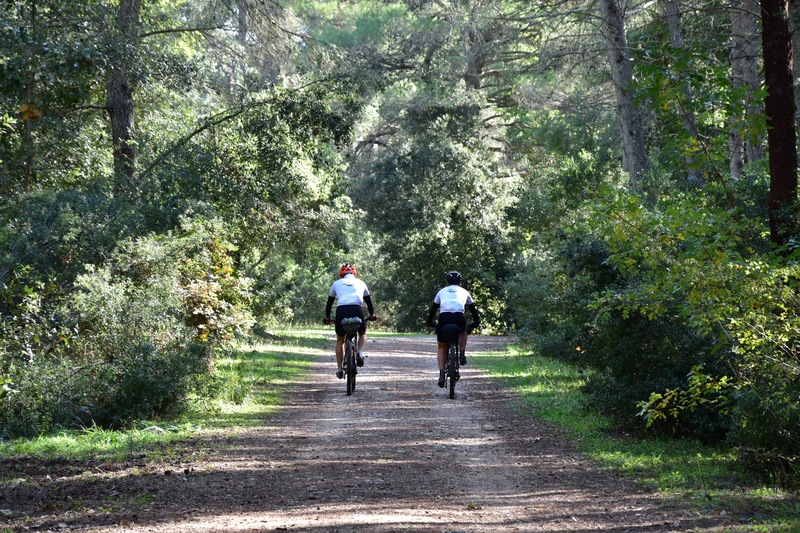 The start will still be from the Masseria Gravelle in Turi (Ba) but all the trail will include only the medieval towns of Acquaviva delle Fonti, Cassano delle Murge, Minervino, Altamura, Santeramo in Colle and Gioia del Colle. Registration open until September 10th 2019. 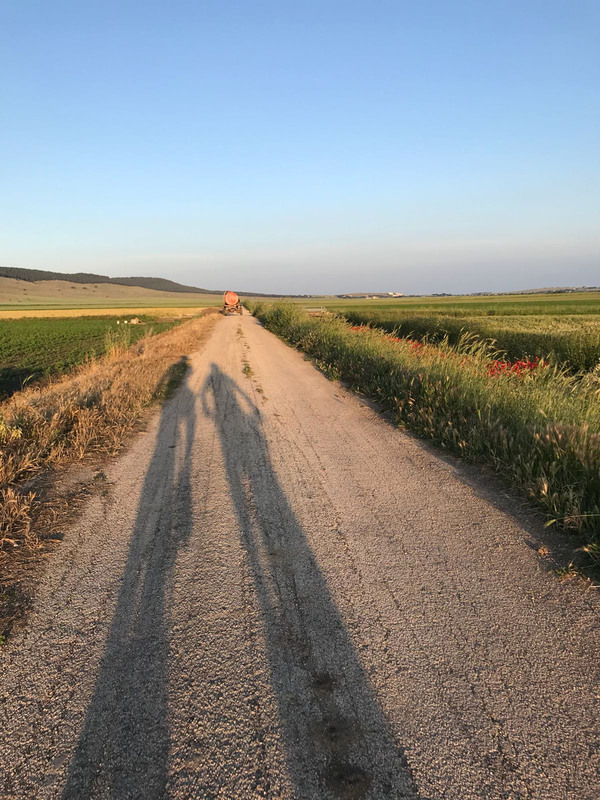 Registration includes the ApuliaTrail t-shirt 2019, free access to the app NeverAlone®, a race pack and more.